Do English Cocker Spaniels Need Other Dog Companionship? 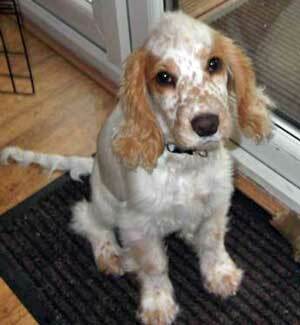 Do Cocker Spaniels Need Another Dog For Company? I have a 13 month old English cocker spaniel. She is wonderful and has a good nature and loves me lots. Do cocker spaniels need a friend, ie another dog? Jennifer, you are her best friend! If you're considering getting another dog as a companion for her simply because you're out at work all day, I'd think long and hard about it. If you decide to get a second dog, it has to be because you've given the decision proper consideration and that you understand all that comes with a second dog. (For example, can you afford double the vet fees, another crate, dog bed, etc., increased food bill, and boarding fees? Will you have the time to spend training and grooming the new Cocker? Then there's the question of how she'll get on with the new dog - there's no guarantee that they'll bond. At the moment, your Cocker has a set routine, and is used to having you to herself. Jealousy may set in if you get another dog. If they don't bond, you may have behavioral problems to deal with - even aggression. Personally, I don't think it's necessary to get another dog to keep your Cocker company - you are her family and that will be enough for her. However, if you choose to, at least you can be aware of all you need to be and bring another dog into your family for the right reasons. On the positive side to owning more than one dog, and there very definitely is one, it can bring you double the loving and excitement and many hours of laughter and fun. More often than not, the dogs will bond and enjoy each other but to answer your question again, no, I don't think dogs necessarily need another dog to keep them company. I hope this helps with your decision Jennifer. Do English Cocker Spaniels Need A Companion? Thank you for your answer, I have thought long and hard and I have decided not to get another because of the bond Lucy and myself have.